The city water system was purchased from the Sedalia Water Company in 1951; the city purchased the company with 7,770 customers. We have grown our customer base to supply over 10,000 customers since the purchase. Nine deep wells provide the majority of the water supply for Sedalia. In 1999, the Water Department built a new 1.5 million gallon water tank. 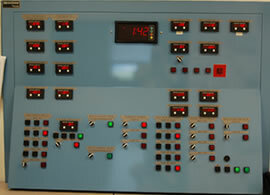 In 2001, a new lab and filtration plant was built. This plant is capable of producing six million gallons of water per day. Today, the Water Department employs 24 full-time employees. Springfork Lake was formed in 1926 by the construction of an earthen dam which impounds Cheese Creek and a 7,000 acre watershed with tributaries to Springfork Lake. The lake is also a great recreational location for fishing and boating, however, boats with motors are not allowed in the water with the exception of electric trolling motors. 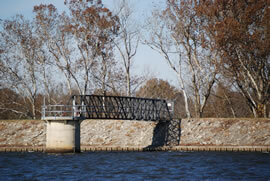 For fishing enthusiasts the lake is a great place to catch Bass, Blue Gill, Crappie and Channel Catfish. It is open for fishing from March 1st through October 1st. Currently we do not allow fires, firearms, hunting, swimming or alcoholic beverages at the lake. Current SEDIMENTATION RATES are THREATENING THE WATER SUPPLY at Springfork Lake. Please DO YOUR PART to PROTECT this ESSENTIAL RESOURCE for now and INTO THE FUTURE!